NOTICE IS HEREBY GIVEN THAT THE TYLER COUNTY APPRAISAL DISTRICT BOARD OF DIRECTORS WILL MEET ON TUESDAY NOVEMBER 14, 2017 AT 10:00 A.M. IN THE BOARD ROOM OF THE APPRAISAL DISTRICT, 806 W. BLUFF, WOODVILLE, TEXAS. A. 551.071 PRIVATE CONSULTATION WITH LEGAL COUNSEL TO DISCUSS PENDING OR CONTEMPLATED LITIGATION OR A MATTER IN WHICH THE DUTY OF THE ATTORNEY TO THE GOVERNMENTAL BODY UNDER THE TEXAS DISIPLINARY RULES OF THE PROFESSIONAL CONDUCT OF THE STATE BAR CLEARLY CONFLICTS WITH THE OPEN MEETINGS ACT. B. 551.072 DISCUSS PURCHASE, EXCHANGE, LEASE OR VALUE OF REAL PROPERTY. C. 551.074 CONSIDER APPOINTMENT, EMPLOYMENT, EVALUATION, REASSIGNMENT, DUTIES, DISCIPLINE OR DISMISSAL OF A PUBLIC OFFICER OR EMPLOYEE OR TO HEAR COMPLAINTS OR CHARGES AGAINST A PUBLIC OFFICER OR EMPLOYEE. NOTICE IS HEREBY GIVEN THAT THE TYLER COUNTY APPRAISAL DISTRICT BOARD OF DIRECTORS WILL MEET ON TUESDAY OCTOBER 10, 2017 AT 10:00 A.M. IN THE BOARD ROOM OF THE APPRAISAL DISTRICT, 806 W. BLUFF, WOODVILLE, TEXAS. A. 551.071 PRIVATE CONSULTATION WITH LEGAL COUNSEL TO DISCUSS PENDING OR CONTEMPLATED LITIGATION OR A MATTER IN WHICH THE DUTY OF THE ATTORNEY TO THE GOVERNMENTAL BODY UNDER THE TEXAS DISCIPLINARY RULES OF THE PROFESSIONAL CONDUCT OF THE STATE BAR CLEARLY CONFLICTS WITH THE OPEN MEETINGS ACT. NOTICE IS HEREBY GIVEN THAT THE TYLER COUNTY APPRAISAL DISTRICT APPRAISAL REVIEW BOARD WILL MEET ON WEDNESDAY, SEPTEMBER 6, 2017 AT 9:00 A.M. IN THE BOARD ROOM OF THE APPRAISAL DISTRICT, 806 W. BLUFF, WOODVILLE, TEXAS. THE BOARD MAY GO INTO CLOSED SESSION ON ANY ITEM ABOVE IN ACCORDANCE WITH REASONS ALLOWABLE UNDER THE OPEN MEETINGS ACT. NOTICE IS HEREBY GIVEN THAT THE TYLER COUNTY APPRAISAL DISTRICT APPRAISAL REVIEW BOARD WILL MEET ON FRIDAY, SEPTEMBER 8, 2017 AT 9:00 A.M. IN THE BOARD ROOM OF THE APPRAISAL DISTRICT, 806 W. BLUFF, WOODVILLE, TEXAS. NOTICE IS HEREBY GIVEN THAT THE TYLER COUNTY APPRAISAL DISTRICT BOARD OF DIRECTORS WILL MEET ON TUESDAY SEPTEMBER 12, 2017 AT 10:00 A.M. IN THE BOARD ROOM OF THE APPRAISAL DISTRICT, 806 W. BLUFF, WOODVILLE, TEXAS. NOTICE IS HEREBY GIVEN THAT THE TYLER COUNTY APPRAISAL DISTRICT APPRAISAL REVIEW BOARD WILL MEET ON TUESDAY, AUGUST 22, 2017 AT 9:00 A.M. IN THE BOARD ROOM OF THE APPRAISAL DISTRICT, 806 W. BLUFF, WOODVILLE, TEXAS. NOTICE IS HEREBY GIVEN THAT THE TYLER COUNTY APPRAISAL DISTRICT BOARD OF DIRECTORS WILL MEET ON TUESDAY AUGUST 8, 2017 AT 10:00 A.M. IN THE BOARD ROOM OF THE APPRAISAL DISTRICT, 806 W. BLUFF, WOODVILLE, TEXAS. NOTICE IS HEREBY GIVEN THAT THE TYLER COUNTY APPRAISAL DISTRICT APPRAISAL REVIEW BOARD WILL MEET ON THURSDAY, AUGUST 3, 2017 AT 9:00 A.M. IN THE BOARD ROOM OF THE APPRAISAL DISTRICT, 806 W. BLUFF, WOODVILLE, TEXAS. NOTICE IS HEREBY GIVEN THAT THE TYLER COUNTY APPRAISAL DISTRICT APPRAISAL REVIEW BOARD WILL MEET ON TUESDAY, JULY 18, 2017 AT 9:00 A.M. IN THE BOARD ROOM OF THE APPRAISAL DISTRICT, 806 W. BLUFF, WOODVILLE, TEXAS. NOTICE IS HEREBY GIVEN THAT THE TYLER COUNTY APPRAISAL DISTRICT APPRAISAL REVIEW BOARD WILL MEET ON FRIDAY, JULY 7, 2017 AT 10:00 A.M. IN THE BOARD ROOM OF THE APPRAISAL DISTRICT, 806 W. BLUFF, WOODVILLE, TEXAS. NOTICE IS HEREBY GIVEN THAT THE TYLER COUNTY APPRAISAL DISTRICT BOARD OF DIRECTORS WILL MEET ON TUESDAY JULY 11, 2017 AT 10:00 A.M. IN THE BOARD ROOM OF THE APPRAISAL DISTRICT, 806 W. BLUFF, WOODVILLE, TEXAS. NOTICE IS HEREBY GIVEN THAT THE TYLER COUNTY APPRAISAL DISTRICT BOARD OF DIRECTORS WILL MEET ON TUESDAY JUNE 13, 2017 AT 10:00 A.M. IN THE BOARD ROOM OF THE APPRAISAL DISTRICT, 806 W. BLUFF, WOODVILLE, TEXAS. NOTICE IS HEREBY GIVEN THAT THE TYLER COUNTY APPRAISAL DISTRICT APPRAISAL REVIEW BOARD WILL MEET ON WEDNESDAY, MAY 31, 2017 AT 9:00 A.M. IN THE BOARD ROOM OF THE APPRAISAL DISTRICT, 806 W. BLUFF, WOODVILLE, TEXAS. NOTICE IS HEREBY GIVEN THAT THE TYLER COUNTY APPRAISAL DISTRICT BOARD OF DIRECTORS WILL MEET ON TUESDAY MAY 9, 2017 AT 10:00 A.M. IN THE BOARD ROOM OF THE APPRAISAL DISTRICT, 806 W. BLUFF, WOODVILLE, TEXAS. NOTICE IS HEREBY GIVEN THAT THE TYLER COUNTY APPRAISAL DISTRICT BOARD OF DIRECTORS WILL MEET ON TUESDAY APRIL 11, 2017 AT 10:00 A.M. IN THE BOARD ROOM OF THE APPRAISAL DISTRICT, 806 W. BLUFF, WOODVILLE, TEXAS. NOTICE IS HEREBY GIVEN THAT THE TYLER COUNTY APPRAISAL DISTRICT BOARD OF DIRECTORS WILL MEET ON TUESDAY FEBRUARY 14, 2017 AT 10:00 A.M. IN THE BOARD ROOM OF THE APPRAISAL DISTRICT, 806 W. BLUFF, WOODVILLE, TEXAS. DUTIES, DISCIPLINE OR DISMISSAL OF A PUBLIC OFFICER OR EMPLOYEE OR TO HEAR COMPLAINTS OR CHARGES AGAINST A PUBLIC OFFICER OR EMPLOYEE. NOTICE IS HEREBY GIVEN THAT THE TYLER COUNTY APPRAISAL DISTRICT BOARD OF DIRECTORS WILL MEET ON TUESDAY JANUARY 10, 2017 AT 10:00 A.M. IN THE BOARD ROOM OF THE APPRAISAL DISTRICT, 806 W. BLUFF, WOODVILLE, TEXAS. NOTICE IS HEREBY GIVEN THAT THE TYLER COUNTY APPRAISAL DISTRICT BOARD OF DIRECTORS WILL MEET ON TUESDAY DECEMBER 13, 2016 AT 10:00 A.M. IN THE BOARD ROOM OF THE APPRAISAL DISTRICT, 806 W. BLUFF, WOODVILLE, TEXAS. NOTICE IS HEREBY GIVEN THAT THE TYLER COUNTY APPRAISAL DISTRICT APPRAISAL REVIEW BOARD WILL MEET ON FRIDAY, DECEMBER 16, 2016 AT 9:00 A.M. IN THE BOARD ROOM OF THE APPRAISAL DISTRICT, 806 W. BLUFF, WOODVILLE, TEXAS. NOTICE IS HEREBY GIVEN THAT THE TYLER COUNTY APPRAISAL DISTRICT BOARD OF DIRECTORS WILL MEET ON TUESDAY NOVEMBER 15, 2016 AT 10:00 A.M. IN THE BOARD ROOM OF THE APPRAISAL DISTRICT, 806 W. BLUFF, WOODVILLE, TEXAS. NOTICE IS HEREBY GIVEN THAT THE TYLER COUNTY APPRAISAL DISTRICT APPRAISAL REVIEW BOARD WILL MEET ON FRIDAY, OCTOBER 28, 2016 AT 9:00 A.M. IN THE BOARD ROOM OF THE APPRAISAL DISTRICT, 806 W. BLUFF, WOODVILLE, TEXAS. NOTICE IS HEREBY GIVEN THAT THE TYLER COUNTY APPRAISAL DISTRICT BOARD OF DIRECTORS WILL MEET ON TUESDAY OCTOBER 11, 2016 AT 10:00 A.M. IN THE BOARD ROOM OF THE APPRAISAL DISTRICT, 806 W. BLUFF, WOODVILLE, TEXAS. NOTICE IS HEREBY GIVEN THAT THE TYLER COUNTY APPRAISAL DISTRICT APPRAISAL REVIEW BOARD WILL MEET ON WEDNESDAY, SEPTEMBER 21, 2016 AT 9:00 A.M. IN THE BOARD ROOM OF THE APPRAISAL DISTRICT, 806 W. BLUFF, WOODVILLE, TEXAS. NOTICE IS HEREBY GIVEN THAT THE TYLER COUNTY APPRAISAL DISTRICT APPRAISAL REVIEW BOARD WILL MEET ON THURSDAY, SEPTEMBER 22, 2016 AT 9:00 A.M. IN THE BOARD ROOM OF THE APPRAISAL DISTRICT, 806 W. BLUFF, WOODVILLE, TEXAS. NOTICE IS HEREBY GIVEN THAT THE TYLER COUNTY APPRAISAL DISTRICT BOARD OF DIRECTORS WILL MEET ON TUESDAY SEPTEMBER 13, 2016 AT 10:00 A.M. IN THE BOARD ROOM OF THE APPRAISAL DISTRICT, 806 W. BLUFF, WOODVILLE, TEXAS. NOTICE IS HEREBY GIVEN THAT THE TYLER COUNTY APPRAISAL DISTRICT APPRAISAL REVIEW BOARD WILL MEET ON THURSDAY, SEPTEMBER 8, 2016 AT 9:00 A.M. IN THE BOARD ROOM OF THE APPRAISAL DISTRICT, 806 W. BLUFF, WOODVILLE, TEXAS. NOTICE IS HEREBY GIVEN THAT THE TYLER COUNTY APPRAISAL DISTRICT APPRAISAL REVIEW BOARD WILL MEET ON WEDNESDAY, SEPTEMBER 14, 2016 AT 9:00 A.M. IN THE BOARD ROOM OF THE APPRAISAL DISTRICT, 806 W. BLUFF, WOODVILLE, TEXAS. NOTICE IS HEREBY GIVEN THAT THE TYLER COUNTY APPRAISAL DISTRICT APPRAISAL REVIEW BOARD WILL MEET ON THURSDAY, SEPTEMBER 15, 2016 AT 9:00 A.M. IN THE BOARD ROOM OF THE APPRAISAL DISTRICT, 806 W. BLUFF, WOODVILLE, TEXAS. NOTICE IS HEREBY GIVEN THAT THE TYLER COUNTY APPRAISAL DISTRICT APPRAISAL REVIEW BOARD WILL MEET ON FRIDAY, SEPTEMBER 16, 2016 AT 9:00 A.M. IN THE BOARD ROOM OF THE APPRAISAL DISTRICT, 806 W. BLUFF, WOODVILLE, TEXAS. NOTICE IS HEREBY GIVEN THAT THE TYLER COUNTY APPRAISAL DISTRICT APPRAISAL REVIEW BOARD WILL MEET ON TUESDAY, SEPTEMBER 6, 2016 AT 9:00 A.M. IN THE BOARD ROOM OF THE APPRAISAL DISTRICT, 806 W. BLUFF, WOODVILLE, TEXAS. NOTICE IS HEREBY GIVEN THAT THE TYLER COUNTY APPRAISAL DISTRICT APPRAISAL REVIEW BOARD WILL MEET ON WEDNESDAY, SEPTEMBER 7, 2016 AT 9:00 A.M. IN THE BOARD ROOM OF THE APPRAISAL DISTRICT, 806 W. BLUFF, WOODVILLE, TEXAS. NOTICE IS HEREBY GIVEN THAT THE TYLER COUNTY APPRAISAL DISTRICT APPRAISAL REVIEW BOARD WILL MEET ON THURSDAY, SEPTEMBER 1, 2016 AT 9:00 A.M. IN THE BOARD ROOM OF THE APPRAISAL DISTRICT, 806 W. BLUFF, WOODVILLE, TEXAS. NOTICE IS HEREBY GIVEN THAT THE TYLER COUNTY APPRAISAL DISTRICT APPRAISAL REVIEW BOARD WILL MEET ON WEDNESDAY, AUGUST 31, 2016 AT 9:00 A.M. IN THE BOARD ROOM OF THE APPRAISAL DISTRICT, 806 W. BLUFF, WOODVILLE, TEXAS. NOTICE IS HEREBY GIVEN THAT THE TYLER COUNTY APPRAISAL DISTRICT APPRAISAL REVIEW BOARD WILL MEET ON WEDNESDAY, AUGUST 24, 2016 AT 9:00 A.M. IN THE BOARD ROOM OF THE APPRAISAL DISTRICT, 806 W. BLUFF, WOODVILLE, TEXAS. NOTICE IS HEREBY GIVEN THAT THE TYLER COUNTY APPRAISAL DISTRICT APPRAISAL REVIEW BOARD WILL MEET ON MONDAY, AUGUST 22, 2016 AT 9:00 A.M. IN THE BOARD ROOM OF THE APPRAISAL DISTRICT, 806 W. BLUFF, WOODVILLE, TEXAS. NOTICE IS HEREBY GIVEN THAT THE TYLER COUNTY APPRAISAL DISTRICT APPRAISAL REVIEW BOARD WILL MEET ON TUESDAY, AUGUST 23, 2016 AT 9:00 A.M. IN THE BOARD ROOM OF THE APPRAISAL DISTRICT, 806 W. BLUFF, WOODVILLE, TEXAS. NOTICE IS HEREBY GIVEN THAT THE TYLER COUNTY APPRAISAL DISTRICT APPRAISAL REVIEW BOARD WILL MEET ON TUESDAY, AUGUST 30, 2016 AT 9:00 A.M. IN THE BOARD ROOM OF THE APPRAISAL DISTRICT, 806 W. BLUFF, WOODVILLE, TEXAS. NOTICE IS HEREBY GIVEN THAT THE TYLER COUNTY APPRAISAL DISTRICT BOARD OF DIRECTORS WILL MEET ON TUESDAY AUGUST 9, 2016 AT 10:00 A.M. IN THE BOARD ROOM OF THE APPRAISAL DISTRICT, 806 W. BLUFF, WOODVILLE, TEXAS. C. 551.074 CONSIDER APPOINTMENT, EMPLOYMENT, EVALUATION, REASSIGNMENT, DUTIES, DISCIPLINE OR DISMISSAL OF A PUBLIC OFFICER OR EMPLOYEE OR TO HEAR COMPLAINTS OR CHARGES AGAINST A PUBLIC OFFICER OR EMPLOYEE: TO CONSIDER PERSONNEL EMPLOYMENT, EVALUATION, AND COMPENSATION. NOTICE IS HEREBY GIVEN THAT THE TYLER COUNTY APPRAISAL DISTRICT APPRAISAL REVIEW BOARD WILL MEET ON WEDNESDAY, JULY 20, 2016 AT 10:00 A.M. IN THE BOARD ROOM OF THE APPRAISAL DISTRICT, 806 W. BLUFF, WOODVILLE, TEXAS. NOTICE IS HEREBY GIVEN THAT THE TYLER COUNTY APPRAISAL DISTRICT BOARD OF DIRECTORS WILL MEET ON TUESDAY JULY 12, 2016 AT 10:00 A.M. IN THE BOARD ROOM OF THE APPRAISAL DISTRICT, 806 W. BLUFF, WOODVILLE, TEXAS. NOTICE IS HEREBY GIVEN THAT THE TYLER COUNTY APPRAISAL DISTRICT APPRAISAL REVIEW BOARD WILL MEET ON FRIDAY, JULY 8, 2016 AT 10:00 A.M. IN THE BOARD ROOM OF THE APPRAISAL DISTRICT, 806 W. BLUFF, WOODVILLE, TEXAS. NOTICE IS HEREBY GIVEN THAT THE TYLER COUNTY APPRAISAL DISTRICT BOARD OF DIRECTORS WILL MEET ON TUESDAY JUNE 14, 2016 AT 10:00 A.M. IN THE BOARD ROOM OF THE APPRAISAL DISTRICT, 806 W. BLUFF, WOODVILLE, TEXAS. NOTICE IS HEREBY GIVEN THAT THE TYLER COUNTY APPRAISAL DISTRICT BOARD OF DIRECTORS WILL MEET ON TUESDAY MAY 10, 2016 AT 10:00 A.M. IN THE BOARD ROOM OF THE APPRAISAL DISTRICT, 806 W. BLUFF, WOODVILLE, TEXAS. NOTICE IS HEREBY GIVEN THAT THE TYLER COUNTY APPRAISAL DISTRICT BOARD OF DIRECTORS WILL MEET ON TUESDAY APRIL 12, 2016 AT 10:00 A.M. IN THE BOARD ROOM OF THE APPRAISAL DISTRICT, 806 W. BLUFF, WOODVILLE, TEXAS. NOTICE IS HEREBY GIVEN THAT THE TYLER COUNTY APPRAISAL DISTRICT APPRAISAL REVIEW BOARD WILL MEET ON TUESDAY, MARCH 29, 2016 AT 10:00 A.M. IN THE BOARD ROOM OF THE APPRAISAL DISTRICT, 806 W. BLUFF, WOODVILLE, TEXAS. NOTICE IS HEREBY GIVEN THAT THE TYLER COUNTY APPRAISAL DISTRICT BOARD OF DIRECTORS WILL MEET ON TUESDAY MARCH 8, 2016 AT 10:00 A.M. IN THE BOARD ROOM OF THE APPRAISAL DISTRICT, 806 W. BLUFF, WOODVILLE, TEXAS. NOTICE IS HEREBY GIVEN THAT THE TYLER COUNTY APPRAISAL DISTRICT BOARD OF DIRECTORS WILL MEET ON TUESDAY FEBRUARY 9, 2016 AT 10:00 A.M. IN THE BOARD ROOM OF THE APPRAISAL DISTRICT, 806 W. BLUFF, WOODVILLE, TEXAS. NOTICE IS HEREBY GIVEN THAT THE TYLER COUNTY APPRAISAL DISTRICT BOARD OF DIRECTORS WILL MEET ON TUESDAY DECEMBER 8, 2015 AT 10:00 A.M. IN THE BOARD ROOM OF THE APPRAISAL DISTRICT, 806 W. BLUFF, WOODVILLE, TEXAS. NOTICE IS HEREBY GIVEN THAT THE TYLER COUNTY APPRAISAL DISTRICT APPRAISAL REVIEW BOARD WILL MEET ON TUESDAY, DECEMBER 15, 2015 AT 10:00 A.M. IN THE BOARD ROOM OF THE APPRAISAL DISTRICT, 806 W. BLUFF, WOODVILLE, TEXAS. NOTICE IS HEREBY GIVEN THAT THE TYLER COUNTY APPRAISAL DISTRICT BOARD OF DIRECTORS WILL MEET ON TUESDAY NOVEMBER 10, 2015 AT 10:00 A.M. IN THE BOARD ROOM OF THE APPRAISAL DISTRICT, 806 W. BLUFF, WOODVILLE, TEXAS. NOTICE IS HEREBY GIVEN THAT THE TYLER COUNTY APPRAISAL DISTRICT BOARD OF DIRECTORS WILL MEET ON TUESDAY OCTOBER 13, 2015 AT 10:00 A.M. IN THE BOARD ROOM OF THE APPRAISAL DISTRICT, 806 W. BLUFF, WOODVILLE, TEXAS. NOTICE IS HEREBY GIVEN THAT THE TYLER COUNTY APPRAISAL DISTRICT APPRAISAL REVIEW BOARD WILL MEET ON WEDNESDAY, SEPTEMBER 23, 2015 AT 1:00 P.M. IN THE BOARD ROOM OF THE APPRAISAL DISTRICT, 806 W. BLUFF, WOODVILLE, TEXAS. NOTICE IS HEREBY GIVEN THAT THE TYLER COUNTY APPRAISAL DISTRICT BOARD OF DIRECTORS WILL MEET ON TUESDAY SEPTEMBER 8, 2015 AT 10:00 A.M. IN THE BOARD ROOM OF THE APPRAISAL DISTRICT, 806 W. BLUFF, WOODVILLE, TEXAS. NOTICE IS HEREBY GIVEN THAT THE TYLER COUNTY APPRAISAL DISTRICT APPRAISAL REVIEW BOARD WILL MEET ON TUESDAY, SEPTEMBER 15, 2015 AT 9:00 A.M. IN THE BOARD ROOM OF THE APPRAISAL DISTRICT, 806 W. BLUFF, WOODVILLE, TEXAS. NOTICE IS HEREBY GIVEN THAT THE TYLER COUNTY APPRAISAL DISTRICT BOARD OF DIRECTORS HAS CALLED A SPECIAL MEETING FOR MONDAY AUGUST 10, 2015 AT 1:00 P.M. IN THE BOARD ROOM OF THE APPRAISAL DISTRICT, 806 W. BLUFF, WOODVILLE, TEXAS. A. 551.071 PRIVATE CONSULTATION WITH LEGAL COUNSEL TO DISCUSS PENDING OR CONTEMPLATED LITIGATION OR A MATTER IN WHICH THE DUTY OF THE ATTORNEY TO THE GOVERNMENTAL BODY UNDER THE TEXAS DISCIPLINARY RULES OF PROFESSIONAL CONDUCT OF THE STATE BAR CLEARLY CONFLICTS WITH THE OPEN MEETINGS ACT. Notice is hereby given that the Tyler County Appraisal District Board of Directors will meet on Tuesday August 11, 2015 AT 10:00 a.m. in the Board Room of the Appraisal District, 806 W. Bluff, Woodville, Texas. A. 551.071 Private Consultation with Legal Counsel to Discuss Pending or Contemplated Litigation or a Matter in Which the Duty of the Attorney to the Governmental Body Under the Texas Disciplinary Rules of The Professional Conduct of the State Bar Clearly onflicts with the Open Meetings Act. NOTICE IS HEREBY GIVEN THAT THE TYLER COUNTY APPRAISAL DISTRICT APPRAISAL REVIEW BOARD WILL MEET ON MONDAY, AUGUST 17, 2015 AT 1:00 P.M. IN THE BOARD ROOM OF THE APPRAISAL DISTRICT, 806 W. BLUFF, WOODVILLE, TEXAS. NOTICE IS HEREBY GIVEN THAT THE TYLER COUNTY APPRAISAL DISTRICT APPRAISAL REVIEW BOARD WILL MEET ON WEDNESDAY, JULY 15, 2015 AT 2:00 P.M. IN THE BOARD ROOM OF THE APPRAISAL DISTRICT, 806 W. BLUFF, WOODVILLE, TEXAS. NOTICE IS HEREBY GIVEN THAT THE TYLER COUNTY APPRAISAL DISTRICT BOARD OF DIRECTORS WILL MEET ON TUESDAY JULY 14, 2015 AT 10:00 A.M. IN THE BOARD ROOM OF THE APPRAISAL DISTRICT, 806 W. BLUFF, WOODVILLE, TEXAS. NOTICE IS HEREBY GIVEN THAT THE TYLER COUNTY APPRAISAL DISTRICT APPRAISAL REVIEW BOARD WILL MEET ON FRIDAY JULY 10, 2015 AT 10:00 A.M. IN THE BOARD ROOM OF THE APPRAISAL DISTRICT, 806 W. BLUFF, WOODVILLE, TEXAS. NOTICE IS HEREBY GIVEN THAT THE TYLER COUNTY APPRAISAL DISTRICT BOARD OF DIRECTORS WILL MEET ON TUESDAY JUNE 9, 2015 AT 10:00 A.M. IN THE BOARD ROOM OF THE APPRAISAL DISTRICT, 806 W. BLUFF, WOODVILLE, TEXAS. NOTICE IS HEREBY GIVEN THAT THE TYLER COUNTY APPRAISAL DISTRICT BOARD OF DIRECTORS WILL MEET ON TUESDAY MAY 12, 2015 AT 10:00 A.M. IN THE BOARD ROOM OF THE APPRAISAL DISTRICT, 806 W. BLUFF, WOODVILLE, TEXAS. NOTICE IS HEREBY GIVEN THAT THE TYLER COUNTY APPRAISAL DISTRICT BOARD OF DIRECTORS WILL MEET ON TUESDAY APRIL 14, 2015 AT 10:00 A.M. IN THE BOARD ROOM OF THE APPRAISAL DISTRICT, 806 W. BLUFF, WOODVILLE, TEXAS. NOTICE IS HEREBY GIVEN THAT THE TYLER COUNTY APPRAISAL DISTRICT APPRAISAL REVIEW BOARD WILL MEET ON TUESDAY, APRIL 14, 2015 AT 2:00 P.M. IN THE BOARD ROOM OF THE APPRAISAL DISTRICT, 806 W. BLUFF, WOODVILLE, TEXAS. NOTICE IS HEREBY GIVEN THAT THE TYLER COUNTY APPRAISAL DISTRICT BOARD OF DIRECTORS WILL MEET ON TUESDAY MARCH 10, 2015 AT 10:00 A.M. IN THE BOARD ROOM OF THE APPRAISAL DISTRICT, 806 W. BLUFF, WOODVILLE, TEXAS. NOTICE IS HEREBY GIVEN THAT THE TYLER COUNTY APPRAISAL DISTRICT BOARD OF DIRECTORS HAVE CALLED A SPECIAL MEETING TO BE HELD ON FRIDAY FEBRUARY 20, 2015 AT 3:00 P.M. IN THE BOARD ROOM OF THE APPRAISAL DISTRICT, 806 W. BLUFF, WOODVILLE, TEXAS. 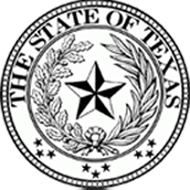 ADJOURN TO EXECUTIVE SESSION PURSUANT TO TEXAS GOVERNMENT CODE SECTIONS 551.071, 551.072, AND 551.074 OF THE TEXAS OPEN MEETINGS ACT. NOTICE IS HEREBY GIVEN THAT THE TYLER COUNTY APPRAISAL DISTRICT BOARD OF DIRECTORS HAVE CALLED A SPECIAL MEETING TO BE HELD ON FRIDAY FEBRUARY 13, 2015 AT 11:00 A.M. IN THE BOARD ROOM OF THE APPRAISAL DISTRICT, 806 W. BLUFF, WOODVILLE, TEXAS 75979. NOTICE IS HEREBY GIVEN THAT THE TYLER COUNTY APPRAISAL DISTRICT BOARD OF DIRECTORS WILL MEET ON TUESDAY FEBRUARY 10, 2015 AT 10:00 A.M. IN THE BOARD ROOM OF THE APPRAISAL DISTRICT, 806 W. BLUFF, WOODVILLE, TEXAS. NOTICE IS HEREBY GIVEN THAT THE TYLER COUNTY APPRAISAL DISTRICT BOARD OF DIRECTORS WILL MEET ON TUESDAY JANUARY 13, 2015 AT 10:00 A.M. IN THE BOARD ROOM OF THE APPRAISAL DISTRICT, 806 W. BLUFF, WOODVILLE, TEXAS 75979.